An intensive one, day hands-on laser training course for those who want to start using cosmetic lasers and light devices in their practices. The laser training course is always the first day of all of our Step 1 certification courses. All basic medical foundations necessary to safely and effectively perform laser and light therapy will be covered. Important considerations such as skin typing, skin preparation prior to laser resurfacing, treatment of complications, and contraindications is an integral part of the course. Ablative and non-ablative laser techniques are part of our extensive training. 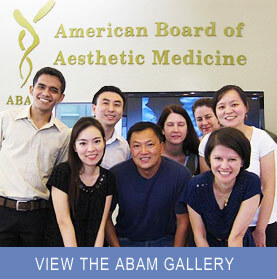 Laser physics, skin & hair anatomy, and the various types of laser presently use in aesthetic medicine will be taught. Fractionated Lasers, Hair Removal Lasers, Intense Pulse Light (IPL) devices, photodynamic therapy, and consideration for purchasing a laser are among the included topics. Laser and light therapy techniques, skin and hair anatomy, patient selection, contraindication, treatment of complication, real world advice from practicing instructor. A Certificate of Cosmetic Laser will be awarded upon completion of training. If you would like to register for the laser course please contact us. Laser/light therapies training can also be achieved by completing our Step I course alongside other aesthetic medical procedures (Botulinum toxin, Dermal filler, Chemical peel) at $2,500.